Carnival Cruise Line is rolling out the new steakhouse menu to even more ships over July and August. The menu can also be enjoyed on many Carnival cruise ships already. Carnival Cruise Line Ambassador John Heald has posted that the new Steakhouse menu which was revealed back in October 2017 continues to roll out across the fleet. 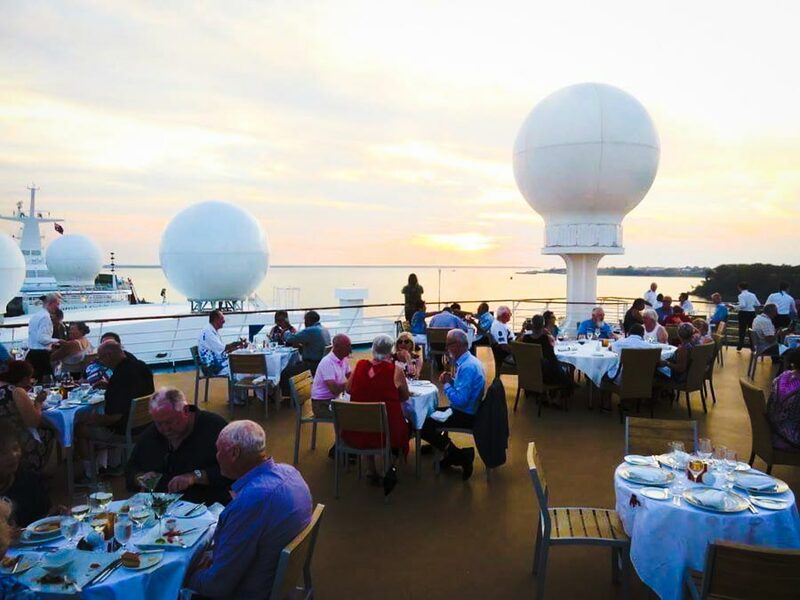 In his post which we’ll quote in full further below Carnival Horizon, Carnival Vista, Carnival Magic, Carnival Dream and Carnival Breeze are already using the new menu. For July and August, more Carnival cruise ships will begin using the new menu including Carnival Conquest on July 19, Carnival Liberty on July 26, Carnival Freedom on August 4 and Carnival Valor on August 20. The new Steakhouse menu is proving very, very popular and bookings are at an all time high. Here are the ships that have the menu now and which ship’s will change to the new and menu in the weeks ahead. Have you tried the menu yet – what did you have ? The new steakhouse menu is proving to be a huge hit and bookings are up. If you do have a cruise vacation coming up with the cruise line make sure first that the ship does have a steakhouse. Some of the older vessels don’t have one. Once onboard make your reservation because they do get fully booked, especially on elegant nights. The Carnival Fahrenheit 555 Steakhouse is not included in the total cruise fair and there is a charge of $35 per person. This doesn’t include tips so don’t forget to add once you’ve enjoyed your delicious first class dining experience.